Dingwall is a small market town, but was the capital of Scotland to the Vikings. The countryside on either side contrasts starkly. 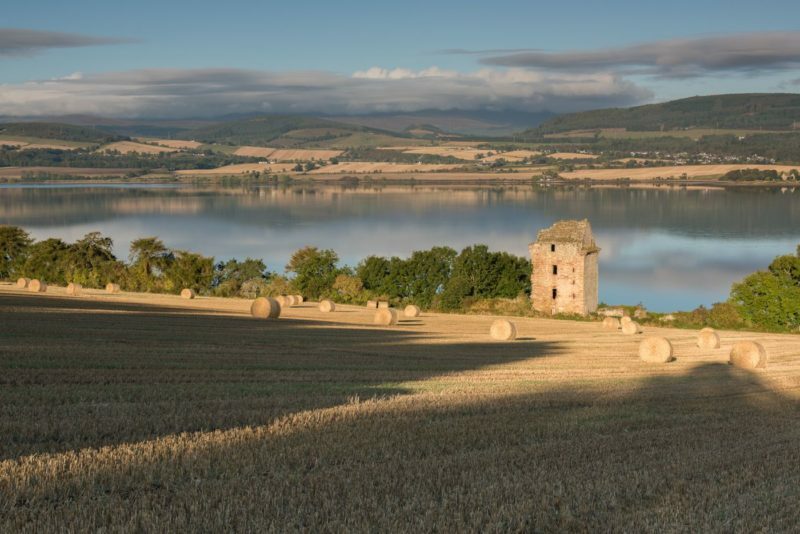 To the east is the Black Isle, one of the richest agricultural areas in Scotland, with many attractions for visitors. Cromarty, at its eastern edge, is a wonderful mix of old buildings, one of the most interesting villages in Scotland. This whole area is great for wildlife lovers, with the best dolphin-watching areas in the UK as well as frequently seen and magnificent Red Kites. West of Dingwall the landscape is much more rugged, with fine woodland walks alongside the Blackwater river, with Rogie Falls only one example of the wondeful cascades in this area. Higher up the valley becomes hemmed in by ever higher mountains, with Ben Wyvis a true giant with magnificent views. Karen Thorburn writes about the Black Isle and her decision to make the big move north. "I walked through Edinburgh’s West End after yet another late night in the office. First one in and last one out again. On crossing Shandwick Place, I kept my head down and avoided eye contact with other pedestrians but allowed myself sideways glances into bustling restaurants, brightly lit with festive decorations and bursting with office workers enjoying Christmas parties..."